High quality duct mounted relative humidity transmitter in a NEMA 4X watertight injection-molded plastic enclosure. Circuit boards are coated to resist moisture. On board DIP switches enable user to change output signal in the field. Accurate with long term stability. Dual filters to resist contamination and ensure reliability. 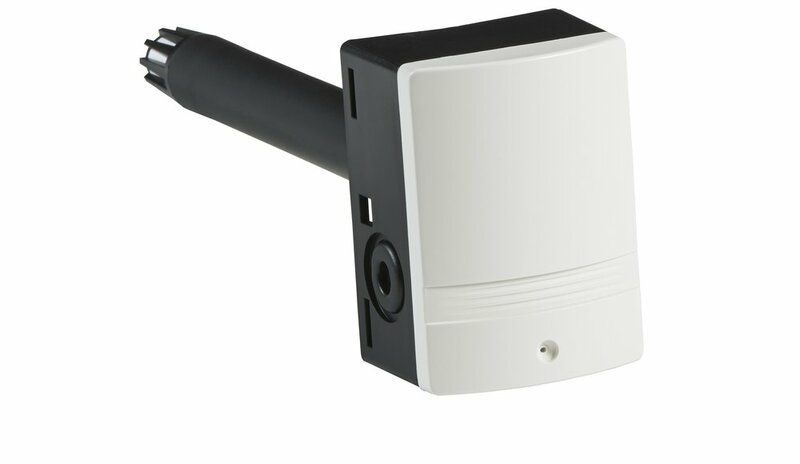 Humidity sensors are also available with accurate thermistors, RTDs or 4-20mA transmitters. The polycarbonate cover and quick connect terminals make installation easy and reduce installation costs. Hinged cover stays open during installation.